When Apple Inc. boss Tim Cook takes the stage at the Steve Jobs Theater in Silicon Valley on, March 25, he will usher in a new era for the world’s largest technology company. It’s a particular challenge for Cook, who took over after Jobs died in 2011. The current CEO is an expert in hardware supply chains who spent years wrangling eager component manufacturers in Asia to assemble the company’s blockbuster iPhone. Apple’s newer partners—Hollywood studios, movie stars, newspapers and magazine publishers—are more wary of working with tech giants, or have already teamed up with rivals like Netflix Inc. and Amazon.com Inc.
Apple’s three big hardware markets—smartphones, personal computers, and tablets—are stagnating. To keep growing, the company has been trying to sell its existing device owners services such as Apple Music subscriptions, iCloud storage, and AppleCare warranties. On March 24, Apple will be adding video and news subscriptions and could unveil a similar offering for credit cards. The company may also discuss combining all these digital services into a single bundle, similar to Amazon’s popular Prime program. Apple already has discussed the possibility of discounts for users who subscribe to more than one service. The venue itself indicates the importance of the event to Apple. 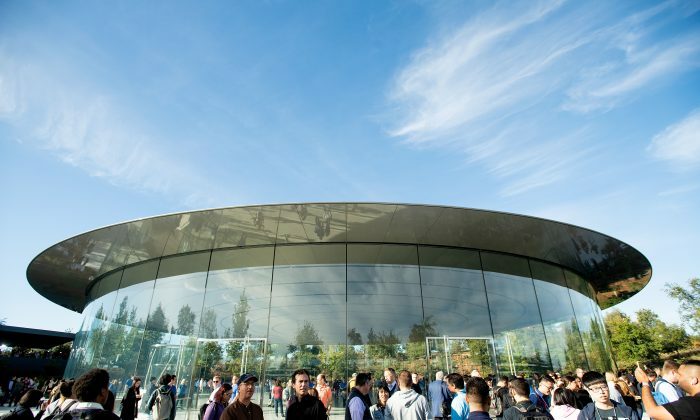 The company has only used the Steve Jobs Theater at its new headquarters twice since it opened two years ago. The first time, Apple debuted the iPhone X. The second time, it launched the iPhone XS and latest Apple Watch. To ensure all attention will be on services, Apple took the rare step of announcing several new hardware products on its website recently, including upgraded AirPods, iPads, and iMacs. Apple could discuss the service as soon as March 25, or it may choose to detail the offering at its conference for developers later this year. Some of the most popular paid games on the App Store include Microsoft-owned Minecraft and franchises like NBA 2K and Grand Theft Auto. The service will focus on original content, including TV shows and movies from producers such as Damien Chazelle, M. Night Shyamalan, and Oprah. There are documentaries, such as “Elephant Queen,” and animations, like “Wolfwalkers” by Oscar-nominated studio Cartoon Saloon, along with a re-imagining of the “Amazing Stories” from Steven Spielberg, and a drama starring Jennifer Aniston and Reese Witherspoon. An important, unanswered question: Will the company keep its streaming creations exclusive to Apple devices, or release them on Android phones and other distribution channels? Apple’s original content will begin rolling out toward the end of the year. A major component will be a feature for tapping into bundles of content from providers like HBO, Starz, and Showtime—similar to Amazon’s Channels offering. Netflix and Hulu won’t be involved. Apple has big ambitions for the service and is hiring people with experience in promoting movies and TV shows for awards including the Emmys and Oscars. Apple and Goldman Sachs Group Inc. are working on a joint credit card tied to the iPhone and Apple Pay app. Goldman CEO David Solomon is planning to attend the March 25 event, suggesting the partnership will either be announced or a deal is near. Apple’s iOS 12.2 update will include a new Wallet app that lays the groundwork for the Goldman credit card. The card will support new virtual rewards and tracking system to encourage timely payments.